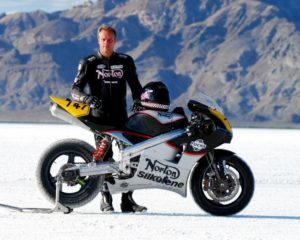 Leicestershire-based Norton Motorcycles, manufacturers of bespoke two-wheelers, have landed a £20m export deal to supply motorcycles to the Japanese market. Norton’s new agreement will help support 200 jobs at the Castle Donington-based company and involve about 1,000 motorbikes being sold to Japanese customers over the next five years. The deal was announced by the government to coincide with the visit of Japanese Prime Minister Shinzō Abe to Downing Street on Thursday. Kay Johnson, head of global sales and marketing at Norton, said: “Norton have an agreement with our distributor, PCI Ltd in Japan which will run over a five-year term to manufacture over 1,000 bikes and will achieve an estimated value of £5m.